As a women’s leader, I am sure you have incidents in ministry that could ruin your day and even your whole week. Have you ever felt sabotaged by someone you serve? I think you will be able to identify with this post today by guest blogger Linda Lesniewski, Women’s Minister at Green Acres Baptist Church. Have you ever been sabotaged by your emotions? I have! 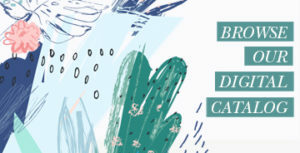 Perhaps an email from an angry church member, an unfair observation from a supervisor, a power-play by an associate or a last minute assignment added to your overfull schedule provides the catalyst. Each of these unexpected intrusions has sent my emotions reeling, temporarily sending me into a ‘tizzy’ as my little Granny used to say. I recently came across a visual that provided a new resource for managing my emotions. The graphic included two circles: one circle showed reason and emotions in balance, while the other circle showed emotions overwhelming reason. It’s obvious that during those “emotionally tizzy moments” I need to bring my emotions back in line so that the ability to reason can help me deal with the need at hand. I’m not sure how I would have responded in a similar situation. Would I have fled, hid, or succumbed to shouting at my husband? Thanks to the Holy Spirit, to God’s Word, to Abigail, and to other wise role models in my life—and now those two small circles, I can prayerfully take those surprising surges of emotions to Jesus. I can find His wise counsel and guidance, His grace and His mercy. How about you? What do you do when you’re sabotaged by emotions? Linda Lesniewski is the Women’s Minister at Green Acres Baptist Church in Tyler, Texas and a LifeWay Ministry Multiplier. She is a contributor to the book Transformed Lives: Taking Women’s Ministry to the Next Level published by LifeWay. 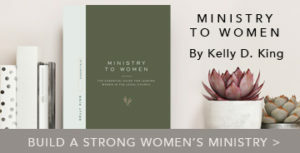 She has authored A Little Book About Knowing A Big God for children, Women at the Cross, published by Revell, and Connecting Women: A Relational Guide for Leaders in Women’s Ministry published by Baker Books. Linda is mother of four young adults and grandmother of five little girls. 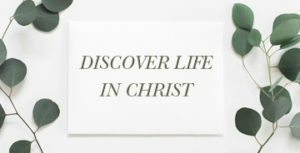 Focus in Women’s Ministry for 2013… What’s Yours?